We might think of state supported health care as an innovation of the 20th century, but it's a much older tradition than that. 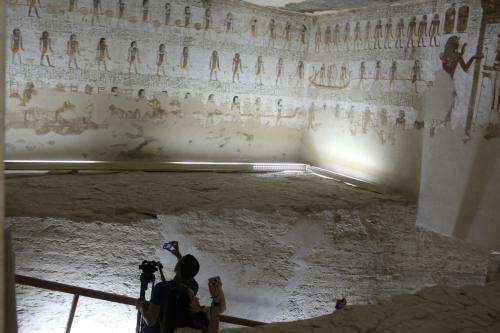 In fact, texts from a village dating back to Egypt's New Kingdom period, about 3,100-3,600 years ago, suggest that in ancient Egypt there was a state-supported health care network designed to ensure that workers making the king's tomb were productive. The village of Deir el-Medina was built for the workmen who made the royal tombs during the New Kingdom (1550-1070 BCE). 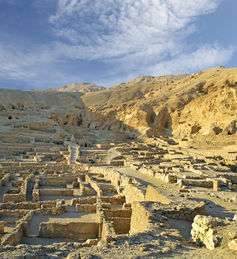 During this period, kings were buried in the Valley of the Kings in a series of rock-cut tombs, not the enormous pyramids of the past. The village was purposely built close enough to the royal tomb to ensure that workers could hike there on a weekly basis. These workmen were not what we normally picture when we think about the men who built and decorated ancient Egyptian royal tombs – they were highly skilled craftsmen. The workmen at Deir el-Medina were given a variety of amenities afforded only to those with the craftsmanship and knowledge necessary to work on something as important as the royal tomb. She admonishes them and disinherits them from her will, punishing them financially, but also shaming them in a public document made in front of the most senior members of the Deir el-Medina community. Very different from historical stereotypes of women in ancient cultures. She was a property owner. I knew there were female Pharaohs, but I guess historians don't make articles mentioning the lives of "common" women very often. There's always focus on the manual labor or the priests and the knowledge, mummies, tombs, etc. This article is an excellent piece of anthropology, and enlightening, even though it's very short. 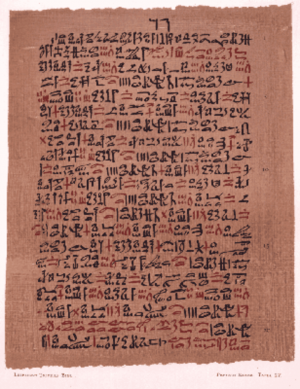 The Egyptians always amaze me because they have a culture of the grand scale projects as well as a culture of preservation of knowledge and artifacts in addition to the body, due to their material view of the afterlife. Possibly not the best view, but it does preserve knowledge and history for millenia. even though it's very short. I am sure you are going to fix that Cher. It's no wonder, they built the pyramids! Cool. Another factiod for my friend @R2 (the Rygg) to debate what is "socialism"!